Tennessee Titans vs Jacksonville Jaguars Picks, Predictions and Betting Tips for Thursday night AFC South battle at Nissan Stadium. Will Cody Kessler be able to lead the Jaguars to their first road win since Week 1? Or will the Titans pick up a much-needed win to stay in the AFC playoff hunt? Read on for all of our free NFL tips! 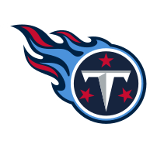 This week’s edition of Thursday Night Football pits two AFC South divisional rivals against each other as the Jaguars head over to Tennessee to face the Titans. Jacksonville’s season is all but over but they still have a chance to make life tough for the Titans, who currently sit at 6-6 and one game back from the Ravens for the second Wild Card spot. Tennessee survived a scare from the Jets this past weekend as they stormed back in the 4th quarter to win 26-22. It was quite a slow start for the Titans as they fell behind 16-0 late in the 2nd quarter but the second half was a completely different story. QB Marcus Mariota began to find his groove and helped the offense rack up over 400 total yards in the game. The defense didn’t even give up a touchdown, as the only one the Jets scored was on a pick-six. Down in Jacksonville, the Jaguars’ defense also showed up and balled out. The unit shutout the red-hot Colts’ offense and held the entire Indy offense to under 300 yards. It was definitely Jacksonville’s best defensive performance of the season, but their offense wasn’t able to provide much help. The running game only racked up 79 rushing yards and QB Cody Kessler was limited to short passes that totaled a mere 150 yards on 18 completions. They’ll surely need a better performance out of Kessler if they want to take down Tennessee, and having RB Leonard Fournette should surely help his cause. After looking at the matchup, we are recommending the Titans on the point spread for this Thursday night clash. Tennessee has played much better at home this year and has only had defensive problems against prolific passing attacks. The Jaguars are anything but a high-flying passing offense and shouldn’t be able to take advantage of the Titans’ struggles in coverage. Tennessee is solid against the run, ranking 11th in rush defense according to DVOA, so that should help contain Fournette and make the Jags’ offense one-dimensional. On the other side, the Jaguars’ defense has been two different units this year depending on where they are playing. Jacksonville has had success on that side of the ball at home this season, but they’ve really struggled on the road especially with getting their pass rush going. In their past 3 road games, they’ve given up 24 to Buffalo, 29 to Indianapolis, and 40 to Dallas. Tennessee doesn’t boast a great offense but they do have a couple of dynamic playmakers and a well-balanced attack. 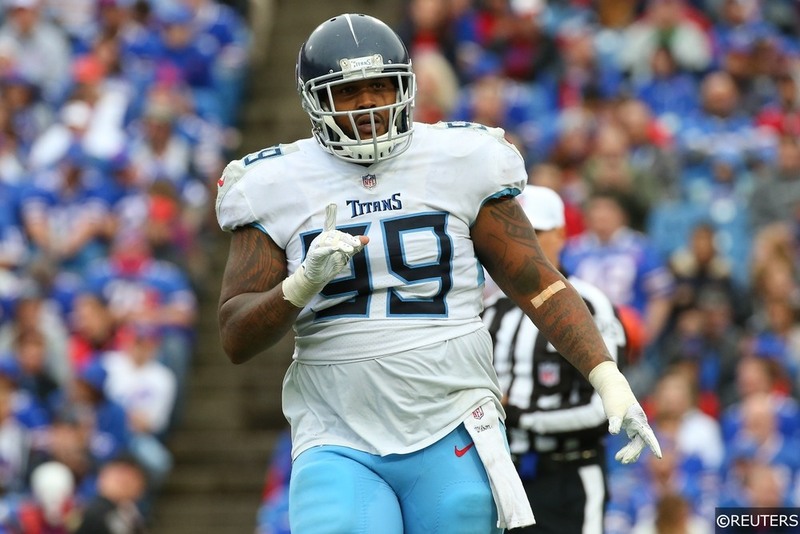 Home favorites are 8-1-1 ATS on Thursday night games this year and we think Jacksonville is too limited offensively to keep up with the Titans in this one. We also like the under on the points total, even at its low number of 37. 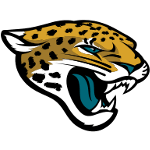 As evidenced by their 6 point performance last week, the Jaguars’ offense is extremely limited with Cody Kessler under center. Jacksonville is going to want to pound the running game with Fournette and keep the clock running, and we think Tennessee will be fine keeping them out of the endzone as they have the best ranked red zone scoring percentage defense in football. On the other side, although the Jags’ defense struggles on the road, we think they will still keep the lid on a non-explosive Titans’ offense. The Week 3 encounter between these two sides ended 9-6 in favor of the Titans, and although we think there will be more scoring, we think don’t think either side will have enough of an offensive breakout to push the total over. Tennessee has won 7 of the past 10 meetings between these two sides, going 4-4-2 ATS in that span. The O/U is 4-6 in these last 10 meetings with the average combined score totaling around 42 points. Jacksonville is 1-7 SU and 1-5-2 ATS in their last 8 games. The total has gone under in 4 of Jacksonville’s last 6 games. Tennessee is 6-2 ATS in their last 8 games and 5-1 SU in their last 6 home games. The total has gone under in 4 of Tennessee’s last 6 home games. RB David Fluellen (knee) and S Dane Cruikshank (knee) are both listed as questionable. RB Leonard Fournette is expected to return after serving his one-game suspension. DE Lerentee McCray (hamstring), DT Abry Jones (shin), G Josh Walker (foot), WR D.J. Chark (quad), CB Tre Herndon (ankle), and CB Quenton Meeks (knee) are all listed as questionable.